recordMyDesktop is a nice software for recording your desktop. It can work from the command line as well there is a GUI available named gtk-recordMyDesktop. We'll be using the GUI. 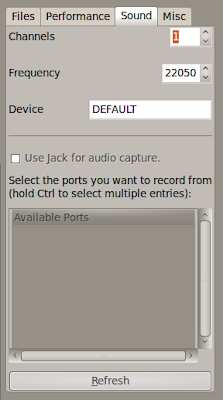 Go to Applications > Accessories > Terminal and install gtk-recordMyDesktop by following these commands. 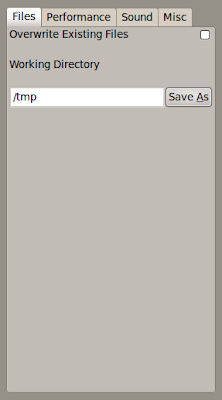 Or, you can search Software Center for gtk-recordMyDesktop and install from there as well. 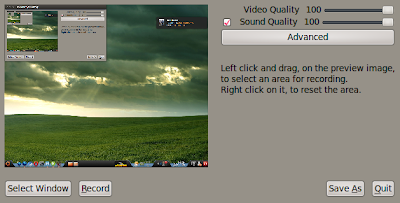 Once installation completes, gtk-recordMyDesktop will appear under Applications > Sounds & Video > gtk-recordMyDesktop. Open it and you'll see a window similar to this. You can adjust Video and Sound Quality by adjusting the slider near the top right of this window. If you un-tick the box for Sound Quality, sound will not be recorded (whatever is playing in your speakers). The better the quality of Video and Sound, the bigger will be the size of recorded file. There are some Advanced options as well. Click Advanced and you'll see them. Under the Files Tab, it lists the software's working directory where it will store temporary files. 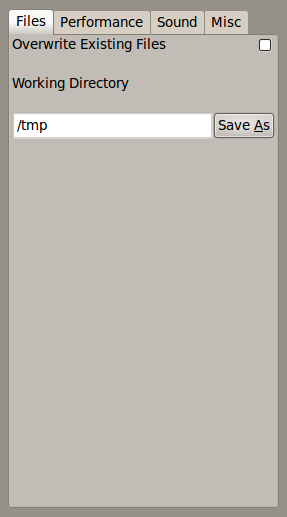 It is set to /tmp by default and I don't think you need to change it. Under the Performance Tab, you can adjust Frame Rate and some other options. Something between 20-30 frames gives reasonable quality. Enabling Encode on the Fly will Encode the video at the same time when it is being recorded. Only enable this option if you've a strong processor. Zero compression is related to Encode on the Fly in a way that it would reduce the processor load if Encode on the Fly is enabled. Quick Subsampling will reduce processor load at the cost of blury colours. 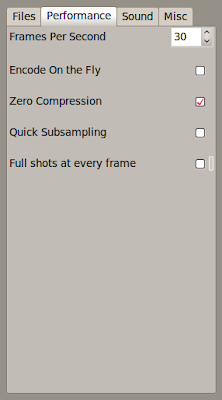 Full shots at every frame is an important option and you need to enable it for recording at better qualities if a compositing manager like Compiz is running. Under the Sound Tab, you can adjust Channels, Frequency of Sound and the Sound Device for recording. You can also use a mic and record your own voice through that. Under the Misc Tab, you can see some other options related to Mouse Cursor, Windows Decorations, Tooltips etc. You don't need to change them. So, when you have adjusted the settings, close the Advanced Window and click Record button on the Main gtk-recordMyDesktop window. It would start recording immediately. The software will minimize itself to the system tray and when you want to stop Recording, click the Record button there. You'll find your recorded file in your /home directory. 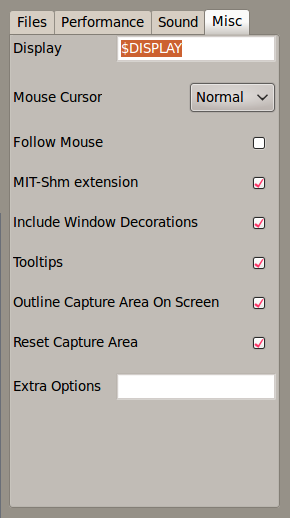 By right clicking the gtk-recordMyDesktop icon in system tray, you'll see some other options which include toggle between show/hide Main Window and you can also select a specific area on your screen to be recorded and not the whole desktop.